Good oral hygiene practices are part of preventive dentistry services. Its goal, along with preventive dentistry in general, is early detection and avoidance of dental problems. But good oral habits are not enough to keep your teeth healthy. Brushing your teeth, for example, is not enough because it cannot clean all areas in the mouth. The molars are rarely properly brushed, hence they become perfect hiding places for bacteria to thrive. You need the help of a trusted dentist. At Ria Family Dental, we take pride in our preventive dentistry services. Dental scale and clean is one of the many options we offer. What Is Scale And Clean? Dental scale and clean, also called deep cleaning, is the thorough removal of all tartar buildup in the mouth. It removes the tartar not only below the teeth but also below the gumline. The dental scale and clean has two parts. The first part, scaling, uses an ultrasonic tool to remove the tartar above and below the gumline, cleaning all the way down to gum pockets. As to the second part, the teeth’s surfaces are smoothed out. This will make it hard for bacteria to reattach to the teeth. This is very helpful, particularly for those who suffer from gum recession. With the teeth clean and their surfaces smooth, the receded gums can heal and reattach themselves more firmly. Your natural teeth remain healthy and strong because you have kept them free from tartar. 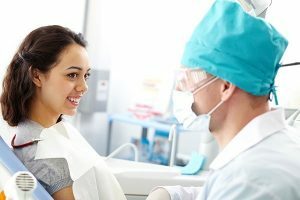 You can avoid having to spend on expensive dental treatments for dental problems that could have been avoided if detected early. Dental scale and clean removes all plaque-causing bad breath. For pearly whites that are not only bright but also healthy, Ria Family Dental can help. Embrace our preventive dentistry services such as dental scale and clean, and say goodbye to dental problems.